New Year’s resolution: enjoy a fabulous new plant! The last of the needles fall onto the ground as you carry the Christmas tree out of the door after a month of warmth and joviality. Suddenly your home feels sad and empty. But that's actually good news! It creates an excellent new shopping opportunity. A clean slate doesn’t just apply to New Year’s resolutions - it applies equally to introducing a new showstopper into your home. Christmas tree out, houseplant in. Welcome 2019! The choice of plants at the garden centre can be overwhelming. And following in the footsteps of the Christmas tree certainly gives them a lot to live up to. Will you opt for an indoor tree, or prefer something more compact? Alongside the size, your interior style is also important. Simple, futuristic or cosy? Take a look at the following three very different interiors trends. Sustainability and the future remains an important theme in 2019. Our concern leads to more restrained choices and new sense of responsibility. The sustainability of our immediate environment as well as that of the entire planet is a recurring theme. In the interior this trend leads to calming interiors where rhythm and the pure product count. The sustainable approach is leading to a real revival in recycled materials that retain their authenticity. This means that the composite materials and products do not look perfect; instead, you can see their history. The no-nonsense monstera fits perfectly with the theme of sustainability, because in Chinese symbolism this plant represents a long life. The future has arrived. 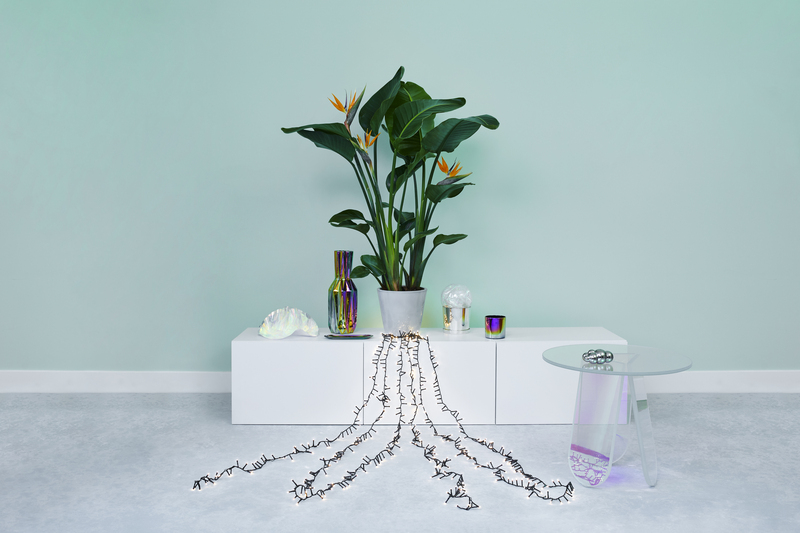 The interiors trend that embraces futurism is all about speed, smart and senses. How can we remain in touch with ourselves in an ever smarter environment? That's why we're constantly looking for a healthy balance and a new rhythm within a tempo in which so much is decided, invented and expected on our behalf. In the interior this trend translates into a feeling that smart technological solutions can be found everywhere. Unusual metallic finishes, transparent materials with gradients and reflections lend an overall sci-fi feel. Plants are kept as simple as possible, with an exciting colour effect in order to crank up the mystery even further. Strelitiza is a logical choice, because how could something so exotic exist in a bog standard living room? The flowers therefore have an almost otherwordly beauty. Don't we all love the feeling of a hot bath or a freshly-made bed? A sense of a soft landing, in your immediate surroundings but also in society as a whole, is a theme that is expressing itself in the latest interiors trends. With so much chaos in the world outside, it’s nice for everything at home to be more friendly, softer, more beautiful. A place where you can be safe and comfortable, like being wrapped in a warm blanket. In the interior this trend leads to all things soft: soft colours, soft materials and soft-looking plants. Like the remarkable Kalanchoë Hildebrandtii. 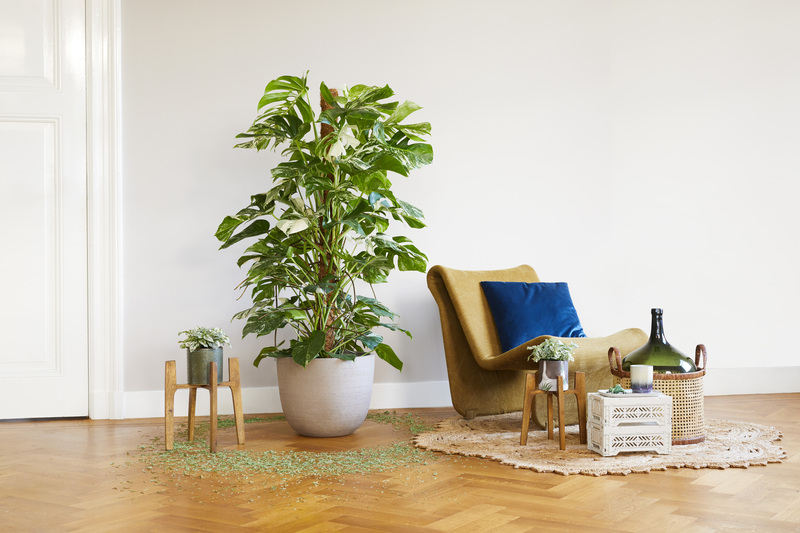 With its shades of soft grey and easy characteristics - this houseplant needs virtually no care - it gives you one thing less to worry about in your home. Have you got an idea which plant will fill the gap in your home yet? The Kentia palm is a plant that will certainly fill the space left by the Christmas tree. This remarkable houseplant not only brings warmth to your home, but also works hard to provide you with clean air. Wow, thanks plant! And the best news is that we are giving away a Kentia palm XXL from Fleurdirect! All you need to do is fill in the form below and the winner will be randomly selected and notified by e-mail. The competition runs from 4 January to 25 January. The winner will be informed by e-mail on 28 January. Our terms and conditions apply to this competition. What plant type are you? Get rid of the Christmas tree! These houseplants are happy to fill the space for you! A merry Xmas memory box! All together now: we're going green! 10 January is Houseplant Appreciation Day! The green Ussie is the new Selfie!